Creative Casual Cuisine. Incredible hand-crafted cocktails. River inspired decor. Fabulous outdoor patio. 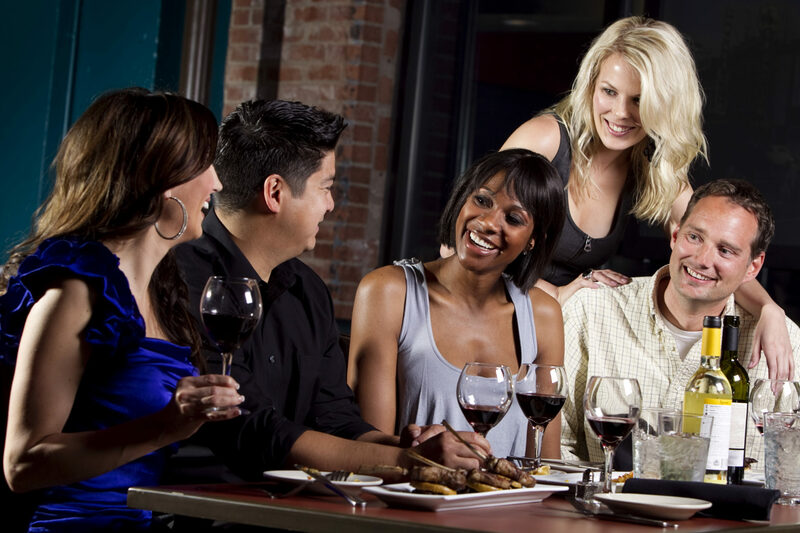 Located on the RiverWalk in Downtown Reno, Wild River Grille is a contemporary restaurant with nature-inspired influences, a full bar and expansive riverside patio. Situated in the historic Riverside Riverside Artist Lofts Building. Serving lunch and dinner 7 days a week starting at 11:00 am. Our dining menu features both traditional and innovative cuisine, while our bar prepares incredible hand-crafted cocktails featuring fresh squeezed juices and liquor infusions. In June 2007, the grand opening of Wild River Grille furthered a vision by two partners, Chuck Shapiro and Doug Holter. Friends for 15 years, the pair blended their combined 50 years of experience and embarked on a joint venture to bring new vibrancy back to the historic corner of downtown Reno. Owners Chuck and Jan Shapiro have lived and breathed the hospitality industry for decades. Originally from southern California, Chuck spent years in Lake Tahoe running resorts and tourist experiences before settling in Reno. In addition to putting their hearts and souls into the thriving restaurant since its opening, the pair oversee the restaurant’s daily operations, and have involved their sons in the business as well. 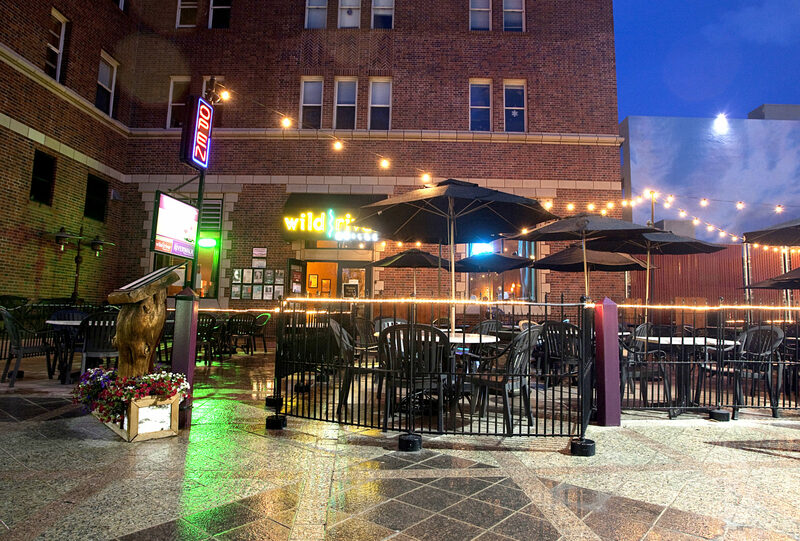 Wild River Grille is located inside the Riverside Hotel building, a stunning and longstanding structure that is listed on the National Register of Historic Places, and is now home to the Riverside Artist Lofts. The River Room, an idyllic space for group gatherings and celebrations connected to Wild River Grille, emerged in 2010 inviting guests to revel in an expansive environment that overlooks the Virginia Street Bridge and vistas of the river and downtown. Surrounded by history in a location that once welcomed big screen and musical legends, the River Room’s interior pays tribute to those bygone eras while Wild River Grille’s warm, inviting ambiance is inspired by nature. A scenic outdoor patio plays host to live music, four-legged friends and scenic vistas when the weather warms. Dedicated to the arts, animals and giving back to the community, Wild River Grille also partners with local nonprofits frequently throughout the year to make a positive impact far beyond their plating. Our delectable cuisine is made with many locally sourced and seasonal ingredients, while our skilled bar team serves up inspired and crave-inducing cocktails, plus a multitude of wines and microbrews. We welcome guests seven days a week for lunch and dinner, and strive to provide an experience worth remembering for years to come. At Wild River Grille we understand the importance of supporting locally grown Nevada owned businesses, local non-profits, suppliers and organizations. By partnering with neighborhood businesses —and building a better connection between their organizations and the community. Our goal is to encourage other business owners and customers to also support the tremendous effort our ranches, teachers, artists, nurses and numerous other volunteers that dedicate every day to making Reno a better place to live and play.